Although 3D viewing at home has fallen out of favor with TV makers and many consumers, there is still a small-but-loyal fan base, with millions of sets in use around the world. The 3D viewing option is also still available on many video projectors, and, there is still a slow, but continuing flow of 3D movie titles available on Blu-ray Disc. However, what all 3D TVs and video projectors have in common is that you need special glasses in order to view the 3D effect. 3D TVs and Video Projectors work by accepting an incoming 3D signal that is encoded by the content provider, which can be sent in several different ways. The TV or projector has an internal decoder that can translate the type of 3D encoding used and displays the left and right eye information on the TV or projection screen in such a way that it appears to look like two overlapping images that look slightly out of focus. One image is intended to be seen only by the left eye, while the other image is intended to only be seen by the right eye. In order to view this image properly, the viewer must wear glasses that are specially designed to receive the separate images and pass them properly to the left and right eye. When received by the eyes, the image signals are sent to the brain. The brain then combines the two overlapping images into a single image, which appears to be in 3D. Passive Polarized Glasses: These glasses look and wear much like sunglasses and require no additional power to work. They usually have enough front space to place over existing eyeglasses for those that need to. These type of glasses are inexpensive to manufacture and can range in price from $5 to $25 for each pair depending on the frame style (rigid vs flexible, plastic vs metal). The glasses are inexpensive, about one third, to one-quarter the price of Active Shutter glasses. No flickering. This means less discomfort and eye fatigue over long viewing periods. The 3D image is one-half the resolution of a 2D image displayed on the same TV due to both left and right eye images being displayed at the same time. The presence of horizontal lines on the screen and some jaggies artifacts on the edges of objects may be noticeable, mostly with text and straight line geometric shapes. Active Shutter Glasses: These glasses are slightly bulkier than passive glasses, since they have batteries (some use watch batteries, others provide rechargeable batteries), on/off button, and a transmitter that syncs the rapidly moving shutters for each eye with the onscreen display rate. These type of glasses are also more expensive than passive polarized glasses, ranging in price from $50 to $150 depending on the manufacturer. The 3D image resolution is the same as the 2D image displayed on the same TV as a result of left and right eye images being displayed sequentially, in synch with TV/projector's screen refresh rate and the opening/closing of the LCD shutters in the glasses. Flickering due to rapid opening and closing of the LCD shutters may be detectable by some viewers, causing discomfort. Sometimes bulkier than Passive Glasses. Expensive, usually, two or three times the price of Passive Polarized Glasses. In technical circles there has been a debate on which system actually delivers the best result for the consumer. Findings from TV and 3D viewing experts Joe Kane and and Dr. Raymond Soneira provide some insight. The brand or model 3D TV/video projector you have determines which type of glasses you need to use. When 3D TV was introduced, Mitsubishi, Panasonic, Samsung, and Sharp took the Active Shutter glasses route for LCD, Plasma, and DLP televisions (both Plasma and DLP TVs have been discontinued), while LG and Vizio promoted Passive Glasses for 3D LCD TVs. Also, although Toshiba and Vizio mostly used passive glasses, some their LCD TVs did use Active Shutter Glasses. To make things even more confusing, Sony used mostly the Active system but offered some TVs that use Passive. Due to the technology used to display images on Plasma TVs, they will only work Active Shutter glasses. However, both Active Shutter and Passive Glasses can be used with LCD and OLED TVs – the choice was up to the manufacturer. Consumer based 3D-enabled video projectors require the use of Active Shutter 3D glasses. This allows the projector to be used with any type of screen or flat white wall. Some manufacturers provided glasses with the set or projector or offered them as optional accessories. 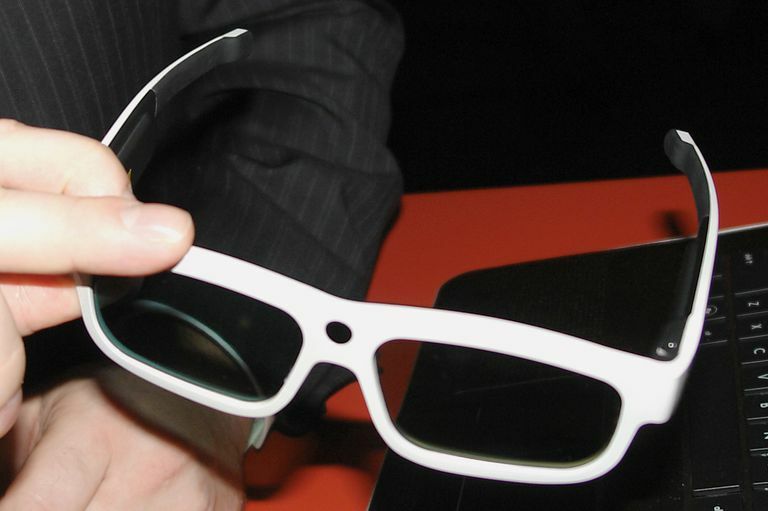 Although production of 3D TVs has ended, 3D glasses are still available, but prices vary. As mentioned previously, active shutter glasses are more expensive than passive polarized glasses. Another factor to consider is that active shutter glasses used for one brand of TV or video projector, may not work with a 3D-TV or video projector from another brand. This means if you have a Samsung 3D-TV, your Samsung 3D glasses will not work with Panasonic's 3D-TVs. So, if you and your neighbors have different brand 3D-TVs, you will, in most cases, they will not be able to borrow each other's 3D glasses. There are technologies that enable 3D viewing on a special type of TV or video display without glasses. These are referred to as "AutoStereoscopic Displays". For more details on the how no-glasses 3D works and its availability, check out our companion article: Can I Watch 3D TV Without Glasses.